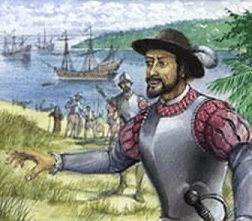 Florida was discovered in the year 1513 by Juan Ponce de Léon and is one of the fifty states of the United States of America. It's located in the southeast part of the country, surrounded by the Atlantic Ocean, the Gulf of Mexico and in the north bordered by Georgia and Alabama. Florida gained statehood in 1845, it's state capital is Tallahassee. It's economy relies most on transportation, agriculture and of course tourism. 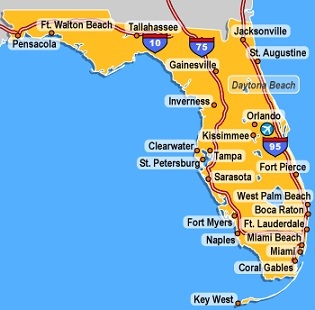 Every year about 51 million tourists visit Florida. Most of them at least visit Orlando, because of the theme parks. Disney's Magic Kingdom is the most visited park in the world, with nearly 17 million visitors each year. But of course there is a lot more to be seen in Florida. Think of the beautiful nature, the beaches, The Everglades National Park, Miami, The Florida Keys, Daytona, St. Augustine, the Florida west coast (Marco Island, Sanibel, Naples) etcetera, etcetera. Throughout the year, it's mostly sunny and warm in Florida, hence it's called 'The Sunshine State'. The occasional afternoon showers are almost seen every day in the summertime, but those showers are gone fast and temperatures don't drop that much. And when they do, the sun will pickup the heat in no time. Humidity in the summer can be bad. 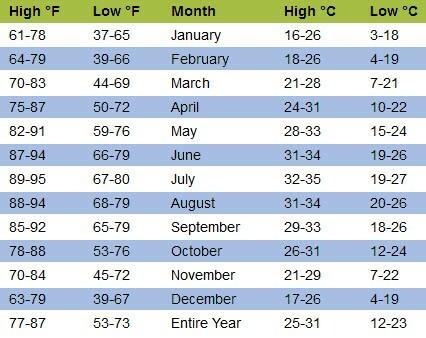 If you don't like warm and moisty summers, I suggest you to visit Florida between October and May. The hurricane season starts in June and ends late November. Every year tropical storms and hurricanes come near Florida, some will go over it, but most will take another route. When tropical storms or hurricanes are present near Florida, expect some heavy rain and wind. The path of such a storm can be predicted, so you will get a heads up long before the hurricane would make land fall. Tornadoes (different from hurricanes, although they can spawn from them) are possible in Florida, but there aren't as many as in Tornado Alley, though Florida is the 4th most affected state in the United States. But don't worry too much about them. Tornado warnings and watches will be on the radio and on TV. If you need shelter from hurricanes, there a lots of shelters in the entire state. Hurricane signs along the way, point out their location. Overall, Florida is a great place to be. Friendly locals, good weather, easy driving around. Perfect place to shop, enjoy the beach, theme parks, good food, have fun and get a tan!